An off shoot of KRB, NovusLED is a startup company with roots in the construction industry specialising in advanced lighting solutions for outdoor environments. 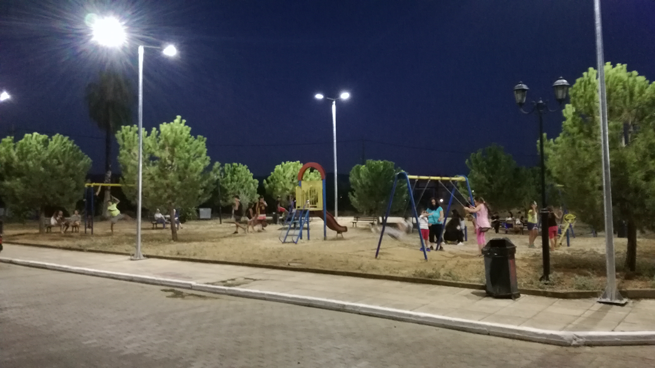 Startup NovusLED were given the tough job of turning a dark and dingy 1 kilometre stretch of tarmac in the Greek city of Aspropirgos into a bright and safe environment for both road users and pedestrians. One kilometre might not seem much but in the dark it can be a kilometre too far for a nervous pedestrian or car driver. From the very beginning it was obvious to NovusLED the only solution was to replace the original mercury and sodium luminaires with modern LEDs. Special focus was placed on avoiding glare and ensuring the amount of light was just right. To meet these requirements NovusLED started their research and development with LEDiL’s STELLA silicone optics. The beam needed to be asymmetric in order to get the huge lumen output where it mattered without wasting it on the surroundings and sky. It took a few months to finalize and modify the fixture body to fit the Ø90 mm STELLA optics. After several simulations and field tests the most suitable combination was found using Bridgelux’s Vero® Series 18 COB LEDs. The result was a high performance and durable luminaire with only 40 Watt power consumption. The project was a success for NovusLED. The end result was an optimal amount of light on the streets with reduced light spill leading to significantly better light quality for road users and pedestrians. Not only did this lead to clear energy savings, but also to an increased safety experience for residents and a reduction in crime in the region.